Tours are offered during library hours, until 30 minutes before closing. 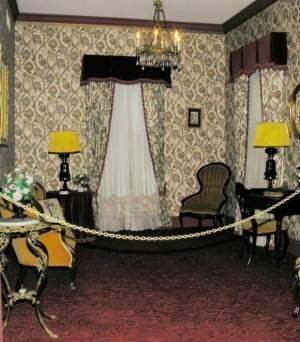 This room (pictured below) depicts a typical Victorian parlor using Victorian sofa, chairs, antique chandelier and an old family album bound in velvet with brass ornamentation. The second story of the museum contains mementos of Allan Shivers' gubernatorial service. There are many plaques and historical documents. In a glass case are two figures representing Mr. and Mrs. Shivers in inaugural costumes. Additionally, there are figures dressed in costumes worn by Marialice Sue Shivers, now Mrs. Dillon Ferguson, at festivals in Corpus Christi, Tyler, Woodville and San Antonio. 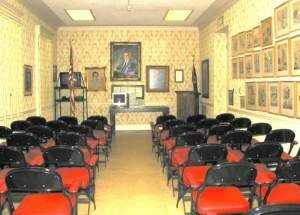 The meeting, lecture and art display room (pictured below) presents a collection of political cartoons among its other artworks. The room is available to nonprofit organizations for meetings by arrangement through the library. The Trophy Room (not pictured) contains items from Mr. Shivers' two safaris to Zambia. 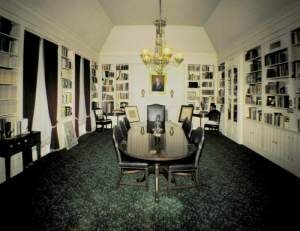 At the rear of the museum is the Rare Books Room (pictured below). 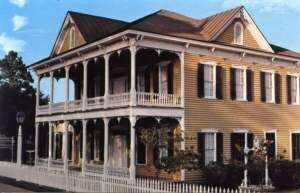 It contains Mr. Shivers' private collection of books and periodicals. This room has a beautiful chandelier of brass and crystal. The books are available for use in the library by arrangement with library staff.